Occasionally we like to leave the safety of our favourite capital city and explore the beautiful countryside of Wales that surrounds us. This weekend, honouring the fact that 2016 is Wales’ Year of Adventure, we decided to jump in our campervan and head to the Black Mountains, in search of some good walking. We parked in the tiny, picturesque town of Crickhowell, in the Usk Valley, just south of the Black Mountains. 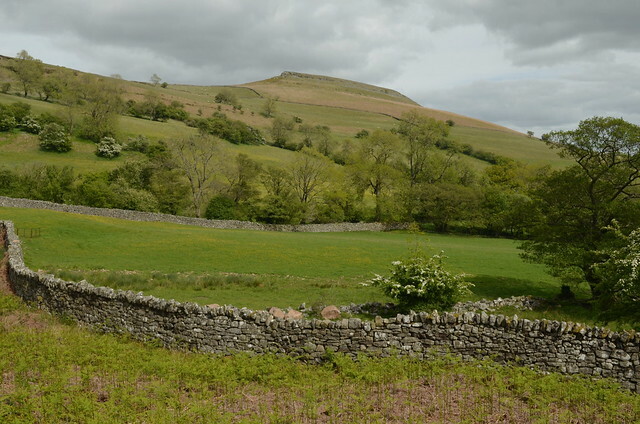 It’s on the eastern side of the Brecon Beacons National Park, and is a great starting point for lots of good hiking trails. There is a car park in the centre of town, but during weekends getting a space is a cut-throat affair … luckily we found a space and went into the Crickhowell Visitor Information Centre to have a look at maps and local info. We bought two maps on local walks (for a whopping £1.50), popped across the road to have a quick coffee at the nattily-named ‘Latte-Da’ (see what they did there? ), and then decided on the Table Mountain Walk. It’s an energetic walk, and a quick ascent up the 380m to the peak of Table Mountain, where the Iron Age hillfort is located. There are some pretty special views from the top, but expect tired legs getting up there! From Crickhowell town centre, it’s a circular walk that you can either do steep side first (up Llanbedr Road – this was how we did it), or if you’re carrying a child on your shoulders or accompanied by an older dog, you can go down to start at the Cwmbeth Dingle, so the ascent is much longer, but less difficult. The walk took about about three hours in total, including a very enjoyable pause on the peak to look at some wild horses and some lambs frolicking around in the field below us. Crickhowell has limited amenities, so we suggest taking a packed lunch with you. And that’s all from us on our out-of-Cardiff jaunt for this week. Get out in the countryside and have a lovely time! Just wondering if you could help. I have written several books but the new one is ‘non-profit’ and I hope to make contributions to research charities. ‘And Tiger Bay Died Too’ is about the last couple of decades of Cardiff City Police as it coincided with the demolition of old Tiger Bay. The book is a look at Cardiff street life mainly in the 60s, anecdotes, how it the police worked before any form of I.T. Stories about Bute St police station, Roath, Grangetown etc., Also a look at other aspects of police life in the 50s / 60s. Book signing and sales from 12 noon to one o clock next Saturday, 9th April at Butetown History and Arts Society, 4 Dock Chambers, Bute St. (Bottom end opposite the big Nat West Bank).